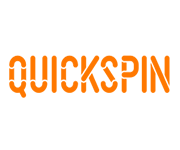 Quickspin is a new Swedish company based in Stockholm that develops online casino games. In 2012 Quickspin was granted the license to provide games by Alderney Gambling Control Commission and the UK Gambling Commission License to offer games in the UK. Quickspin forms part of PlayTech Group, which has been offering online casino games for over a decade. Quickspin games are gaining more popularity and players can find them on several online casino operators. Some games provided by Quickspin are Big Bot Crew, Hidden Valley, Spinions, Jewel Blast, Seven High, Titan Thunder, Illuminous, The Epic Journey, Beowulf, The Three Musketeers and Sinbad.